“I received this letter from some group called BMI saying I owe money for the music I play in my restaurant/gym/community 5k raising money for a good cause/concert venue. Is this a real thing and should I respond?” Yes, emphatically and soon! Over the past several weeks I have had several conversations regarding performance rights organizations, which are the entities who license out the performance of music in public places. There are three main performance rights organizations all with funny sounding letters. The performing rights organizations are BMI, ASCAP and SESAC. As I discussed in The Magic Wands of Copyright, the copyright holder in music has certain exclusive rights. One of the exclusive rights of a copyright holder in a song is the right to perform the work (song) publicly, according to U.S.C. §106(4). Ryanne singing her version of Iggy Azalea’s Trouble to a crowd of 1,000s would undoubtedly be a public performance since there are 1,000s of attendees and I was performing. This is true even though I am not a professional musician. What I think is harder for people to wrap their mind around is the concept dealing with non-live/pre-recorded music still being considered a performance and especially when it is only to a small group of people at any given point in time. I know what you are thinking. “When I play music off of my playlist from music I purchased via iTunes, I am not performing. I am simply playing music I own and legally purchased.” Or, the other thing I hear is, “I subscribed to a music service to provide music for my business, so I am legally setup.” Unfortunately, the copyright statute defines “performing” broader than simply sitting down at an instrument and playing John Lennon’s Imagine. This is usually followed by, “I am not hosting a concert and playing music on a stage. It is only in the restaurant of my paying customers so it is not really public.” Again, unfortunately, the copyright statute defines “public” broader than a concert venue. Let’s look at how the idea of performing is defined. The copyright statute defines performance as “recite, render, play, dance or act, either directly or by means of any device or process” [emphasis added]. Specifically, the performance right in “sound recordings [the actual recording of a song] is limited to the right to perform the copyrighted work publicly by means of digital audio transmission” 17 U.S.C. §106(6). Playing music from a satellite music provider or a song from iTunes is considered a performance because both are digital. The device or process can be the iTunes app, a satellite music service or a computer. Even though you, personally, are not performing on instruments you are using devices to transmit the creative work digitally. Now, to the public portion. What is considered a public performance and what is private? The copyright statute says that a performance is public if there are more than just family members and social acquaintances. Meaning, I can setup my own playlist for my annual crawfish boil where family and friends I know are attending without any worries of infringing on a public performance right. However, if I were to host a charity crawfish boil where tickets are sold to the public, I do not personally know everyone in attendance and there is no real cap on attendees, outside of fire code safety, then my playing of the playlist would be considered public. It is public even though I legally purchased all of the music being played. There are no caveats or exceptions if you are publicly performing music (whether live or pre-recorded) and your event is for a non-profit, 501c (3) organization or you are raising money for a “good cause.” The only exception would be in a classroom setting in the course of face-to-face teaching activities. For instance, playing a Robert Johnson song to demonstrate blues chord progressions. The exclusive right is one the copyright holder owns. Performing rights organizations are diligent about making sure they receive all money owed to song owners. It seems, for whatever reason, that performing rights organizations are starting to police public establishments and events more than ever before. My suspicion are these events/venues are just easier to find since everyone wants the publicity of social media. With a few clicks on my friend Google searching under the terms of music events, bars and restaurants via UrbanSpoon, 5k races and fitness studios within a set geographic area, I can start to compile a pretty good list of locations and events that more than likely either have live music performed and/or transmit sound recordings digitally. For example, let’s say small establishment bar in Nowhere, Mississippi decides to host a music festival. Being located in Nowhere, Mississippi makes it necessary for them to promote their event on a more regional basis. The bar will probably create a Facebook event page, seek placement on local community calendars (searchable from anywhere in the world via our friends at Google), and hopefully a few tweets and retweets telling everyone of the live concert event where bands will be performing music for the low ticket price of only $60 for the weekend. While the event never goes viral and attendance is modest, there is still enough out there on the internet for a performing rights organization to put two and two together and find out whether you have the proper performance licensing in place. That’s all the bad news. 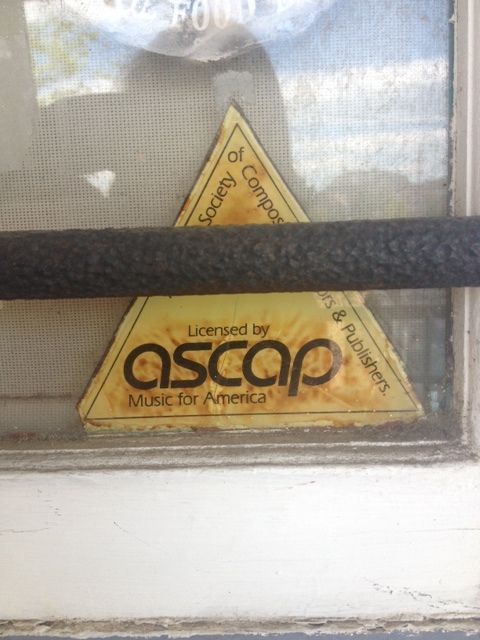 The good news is that BMI, ASCAP and SESAC offer a wide variety of licensing for potential users. Whether you are hosting a concert event for several thousands or you have a small bar in Nowhere, Mississippi, the licensing is dependent upon patronage, size of the location, and a variety of other factors. Once you do receive the proper licensing you get these cool stickers to place on your business and the peace of mind with knowing you are not infringing copyright. Let’s revisit our original question. You do have to answer. You do need to get licensing and failure to do so will be continued copyright infringement, which has a wide variety of remedies for the owners of music including litigation and court time. What has been your experience with performing rights organizations? Take part in the Comments section below. Thank you for reading, commenting and sharing. Today is the 2 Year Anniversary of this blog! I appreciate all of you and be sure to Stay Tuned In! Great post. Congratulations on the two years of blogging.